Bulk custom imprinted foldable tote bags with leatherette handles. We also supply wholesale blank (not imprinted) foldable tote bags: see the Price Table below. 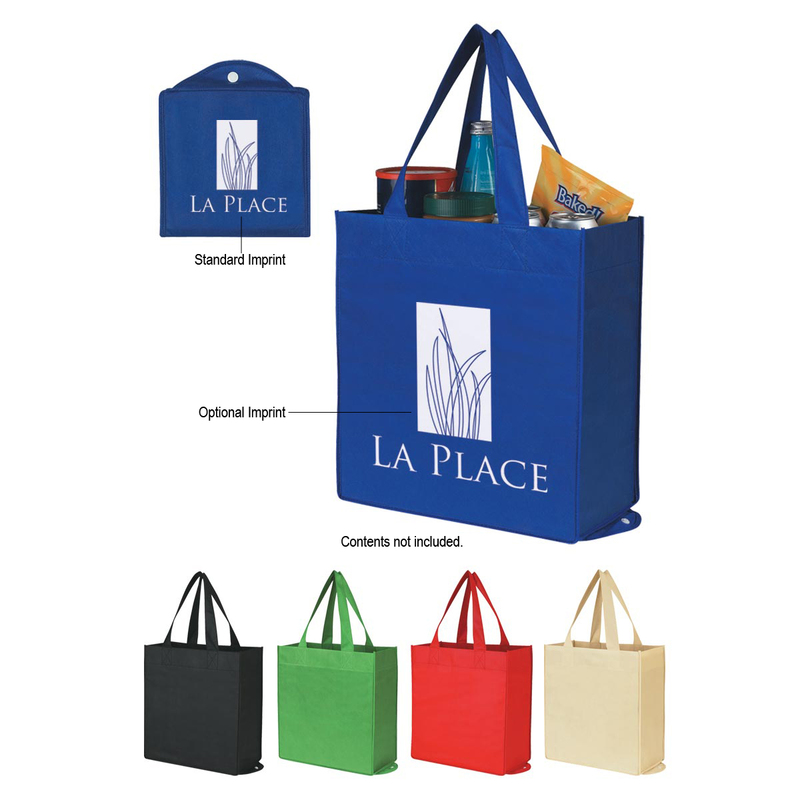 Budget Prices in USA and Canada for wholesale promotional Foldable Tote Bags. American clients pay no taxes. The unit prices below include your 1-color custom imprint on one side, or they are for blank (not custom imprinted) Foldable Tote Bags. • Spot Clean/Air Dry Great For Grocery Stores, Markets, Book Stores, Etc. Imprint Area: Standard: Folded: 4" W x 4" H • Optional: Opened: 10" W x 10" H - For Optional Imprint Area Only Add .10(G) Per Piece.